Pre-medical students participate in the Health Professions Advising Group (HPAG), which is designed for students interested in careers in a variety of health fields. A rigorous preparation in the sciences, along with a strong liberal arts background and access to clinical experiences and research opportunities, will give you an edge in gaining admission to top-quality graduate programs across the country. You are encouraged to complete significant internships with healthcare professionals in their chosen fields. The Roanoke Valley is a medical hub for southwestern Virginia; Roanoke's rapidly growing medical community, including one new medical schools and two major hospital systems, creates tremendous learning opportunities for you. You'll also have the opportunity to participate in a wide variety of high-level research projects at Roanoke. Faculty advisors will work with you every step of the way—from your freshmen year onward. They not only help you select appropriate coursework and extracurricular activities, but also work with you to prepare for admissions testing, draft personal statements and develop strategies for professional school interviews. Pre-medical students of all majors are eligible to participate in this pre-professional program. A Great Place to Pursue Medicine: As the medical hub of Southwest Virginia, the Roanoke Valley is the home of two major healthcare systems, a VA hospital and multiple medical schools. Students benefit from the relationships Roanoke College has cultivated with these organizations. We've established relationships with internship and placement sponsors in a wide range of medical specialties, from anesthesiology to veterinary medicine. A Pipeline to Med School: Roanoke College students, with qualifying grades, have access to admission slots or guaranteed interviews at VCOM (Edward Via College of Osteopathic Medicine), Jefferson College of Health Sciences' accelerated nursing program, and Lynchburg College's physical therapy program. Our grads go on to great medical schools. This alumnus' research experience at Roanoke helped him to secure a job and then a spot in graduate school. 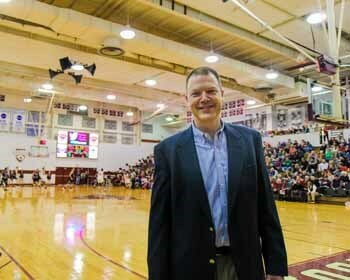 Dr. Jon Maher '97, a basketball standout at Roanoke in the late 1990s, returns to Southwest Virginia after years as a military surgeon, and as a team doctor for the NBA's Boston Celtics. From mere interest to M.D. 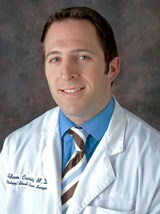 Dr. Adam Cassis '02 always had an interest in surgery, even before his years at Roanoke College. But by the time he graduated with a degree in biology, his interest had become a clear professional pursuit. Cassis went on to earn his M.D. 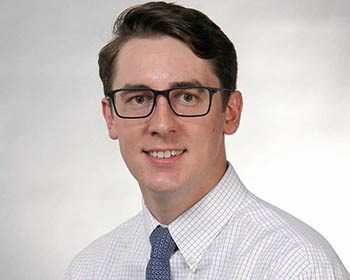 and is now director of otology and skull base surgery at Ruby Memorial Hospital, the largest facility in the West Virginia University Hospitals family. "I chose my career in the medical profession for many reasons but primarily it was to help and improve people's lives in a direct and immediate fashion," Cassis says. "The reward of establishing personal relationships and making a positive impact on their lives is something I continue to treasure." 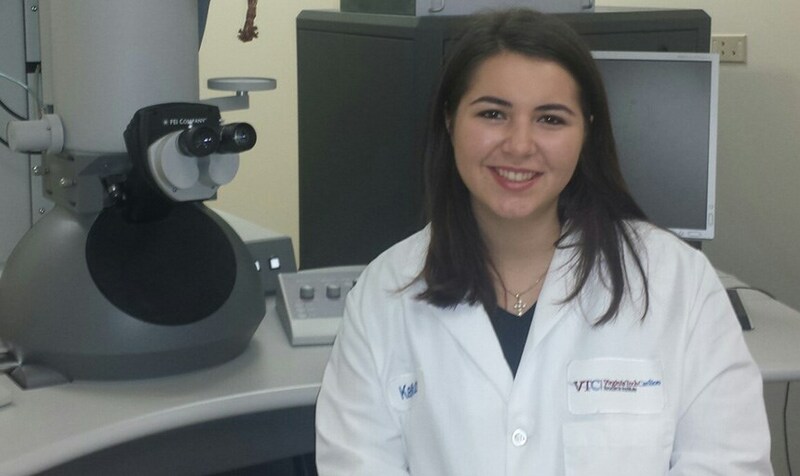 Roanoke College student Vasilea Karageorge '18 has helped bring the medical field one step closer to stopping breast cancer. Scientific Reports, a science research journal, published an article that Karageorge co-authored about BRCA1 genes whose mutations are linked to breast cancer and ovarian cancer. Karageorge's work at the Virginia Tech Carilion Research Institute in Roanoke resulted in new information about the structure of mutating BRCA1 genes, which makes decoding the gene a little less challenging and lengthy, and more accurate. "If we can understand why this mutation leads to cancer, we can, in the long run, determine more efficient ways to combat it," Karageorge said. "Breast cancer has fascinated me from a young age. I know many women close to me who have had breast cancer," Karageorge said. "We may not have found a cure yet, but we have definitely made progress and are closer than we ever have been." Read more about Karageorge's research work here.